SPENT THE ENTIRE WEEK LOOKING FORWARD TO SLEEPING IN ON SATU - ProudMummy.com the Web's Community for Mums. 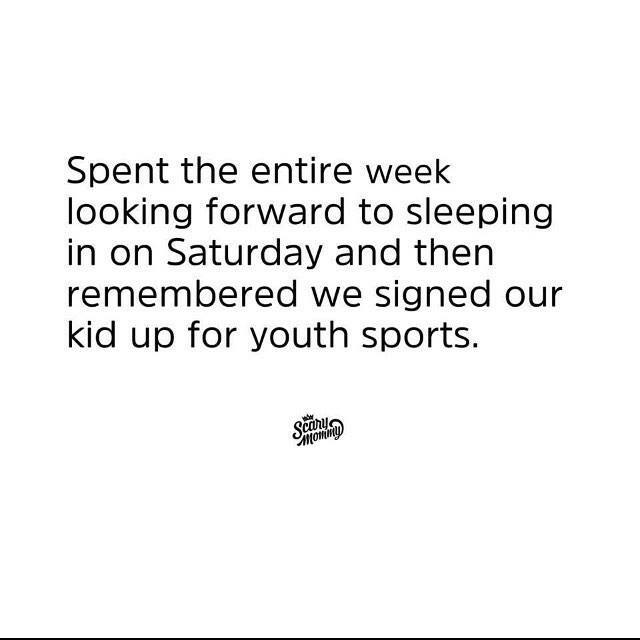 SPENT THE ENTIRE WEEK LOOKING FORWARD TO SLEEPING IN ON SATURDAY AND THEN REMEMBERED WE SIGNED OUR KID UP FOR YOUTH SPORTS. Rhys Harding..... swimming and football !!!! Haha! This will be us Kym Arthur! !